Loy Howard, left, president and CEO of Tanner Health System, accepts a $25,000 grant from Nick Martin, center, area manager for Georgia Power, and Cassandra Wheeler, right, Georgia Power’s regional director for the northwest region. 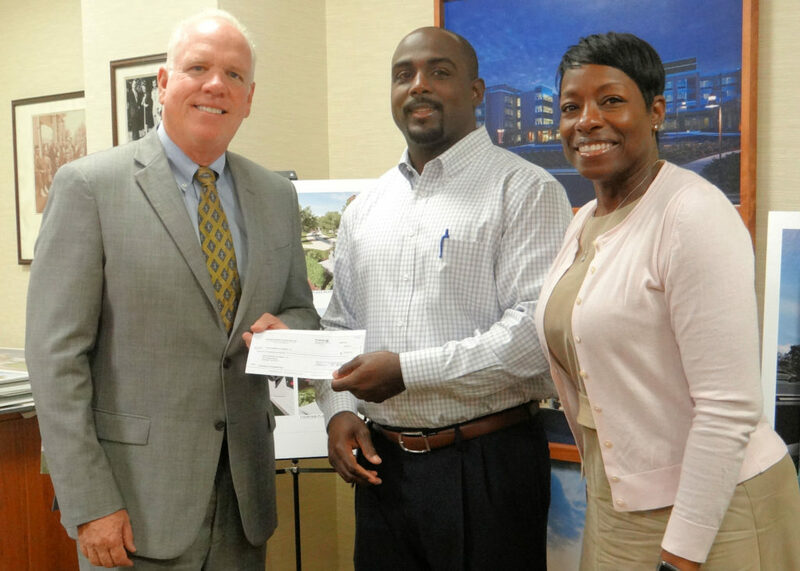 The Georgia Power Foundation grant will be used to establish a park along the Carrollton GreenBelt on the campus of the new Tanner Health Pavilion, now under construction on Dixie Street. The park will be dedicated to the memory of longtime Atlanta Gas Light employee Moreland Adams. Adams’ son, Steve Adams, serves on the board of directors for Tanner Medical Center Inc. and until recently chaired the board of trustees for Tanner Foundation.